We often talk about fishing for redfish here in Wilmington, and that’s because it is a local favorite, a favorite of clients, and steadily available all year long. When I sat down to write this blog post I was about to hit that topic again, but then I realized I have sort of been beating the subject of redfish to death here recently. While pondering, I realized I have never written about another drum we have – the Black Drum. What’s funny is, Black Drum are a personal favorite of mine. I suppose we don’t really see a lot of excitement over this fish from the masses, and we tend to gear ourselves towards what the people want. 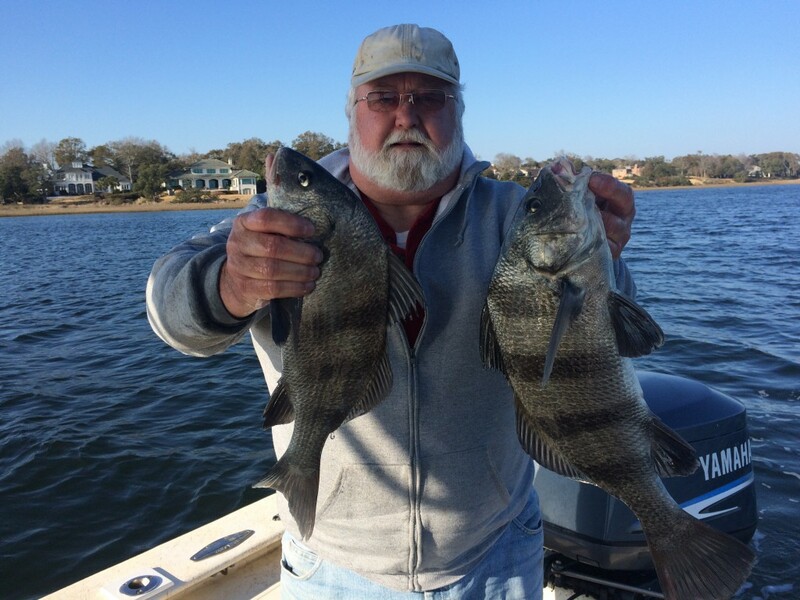 However, when it comes to Black Drum – I’d take a decent one over a bull red anyday (I say that now, but who knows – I do mean it right now though). Black Drum are not as readily available as the Red’s are, but we do see them quite often. Black Drum fishing in Wilmington is a little different from Redfish. The way Black Drum move and react from season to season changes up quite a bit, and is not quite on par with our other targeted species. This does make them more a target of opportunity when they are included on a charter. Unless specified by a client to go after this exact species. But even in this case, Black Drum can be a finicky target to find. However, we spend enough time on the water to have a good bead on where and when to be for a chance at them. When bait fishing, using crabs, shrimp, and even mussels are a great bet. Artificial and fly fisherman will want to fish shallow water for better bets using these style of lures. This is where you can sight fish tailers, but be careful as these guys are a bit spookier than red’s. One great tactic is to let the bait glide with the current. 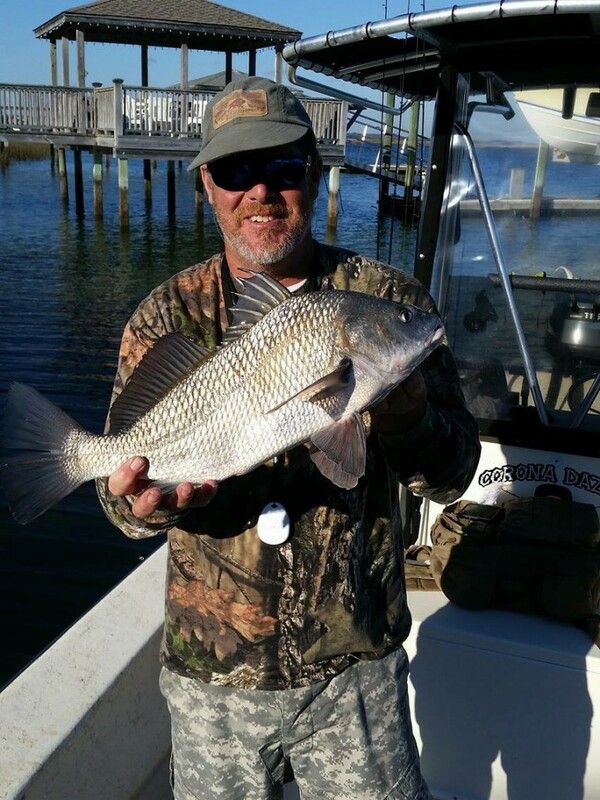 Black Drum like to feed facing the current, so glide your bait in to meet lips to hook.